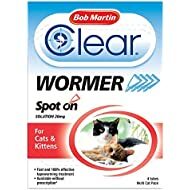 Bob Martin Clear Wormer Tablets for Dogs Bob Martin Clear Wormer Tablets for Dogs is a highly effective treatment for roundworm and tapeworm. 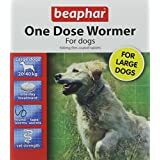 Clinically proven the tablets are easy to use, requiring only one dose to help keep your dog healthy and worm free. 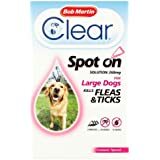 For dogs weighing over 30kg (66lb) additional packs will be required. 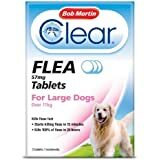 Give one additional tablet for every extra 10kg (22lb) in weight. 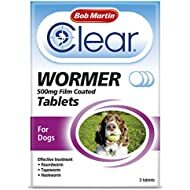 For dogs weighing less than 6kg (13.2lb) use Bob Martin Clear Wormer 100mg Film Coated Tablets for small dogs & puppies.